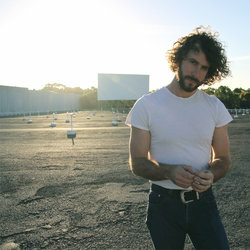 Singer-songwriter Dan Parsons sings of the triumphs and anxieties of the human experience. Playing solo or with his band, his rich baritone voice and deft guitar style never fail to enthral audiences of all ages, conjuring up a 1970’s West Coast landscape for the iPhone generation. His songs put you in the room with him, as tangled up thoughts find sequence and purpose flame-like, darting from wall to wall to trace a geometry of intense conviction. He has released three critically acclaimed solo albums - 'Firestarter' (2010) which saw him showcase at Musexpo LA, The Great Escape and Liverpool Sound City UK, 'Dan Parsons' (2013) and 'Valleywood' (2015) which was nominated for ‘Best Folk-Roots Album’ in The Age Music Victoria Awards and saw him perform in Nashville at the Bluebird Cafe. Parsons is also a highly sought after session musician, touring Australia and internationally with Marlon Williams, Kate Miller-Heidke, Ella Hooper and Tracy McNeil & The GoodLife. In 2018, Parsons readies himself to release 'Sunday Morning Cinema'. Venturing into new territory, it was recorded live to tape in 4 days at The Aviary Studio with his newly formed band Rodeo Pony - the result a fully realised technicolour sonic experience.